As we head into the festive season it's a great time to look back on the year gone by and remember all the amazing places you have been, the incredible friends you have made and look forward to the excitement and adventures that 2016 will bring! So no matter how you're spending the holidays, whether it's drinking a beer with friends at the Hofbräuhaus, cuddled up in front of the fire with the your family or soaking up some sun on a hot sandy beach, I wish you all a very Merry Christmas and a Happy New Year! Travelling itself is an amazing experience, but getting to your destination is often uncomfortable and, let's be honest, boring. Long-haul flights are a killer, but they are a necessary evil if you want to explore the world. Having sat upside on some flights and counted how many steps it takes to walk the plane, it's safe to say I've had quite a bit of experience with long-haul flight boredom. To help my fellow travellers out, here are some of my hints and tricks for surviving long-haul flights! 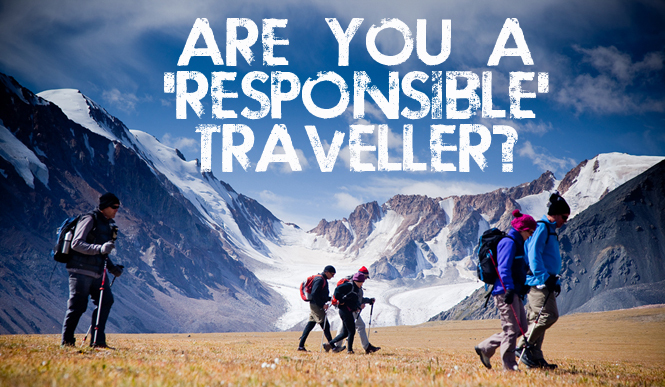 You may have heard people talk about "ethical travel" or "responsible tourism", but if not, never fear, I'm here to tell you about it! Ethical travel is a new way of looking at the way in which we travel, where we visit and what we do when we're there. It is about considering how our impact on the world today will effect it for other travellers in the future, and taking a look at the effects we have on the communities we visit (both positive and negative). I've very excited to introduce you to Life Before Work Travel! LBW is a Canadian travel company that offers tours throughout Central and South America, Asia and Europe. But what makes LBW Travel special and distinguishes them from the rest is that they aren't just a travel company, but an incredible group of passionate people who are ready to introduce you to the world! 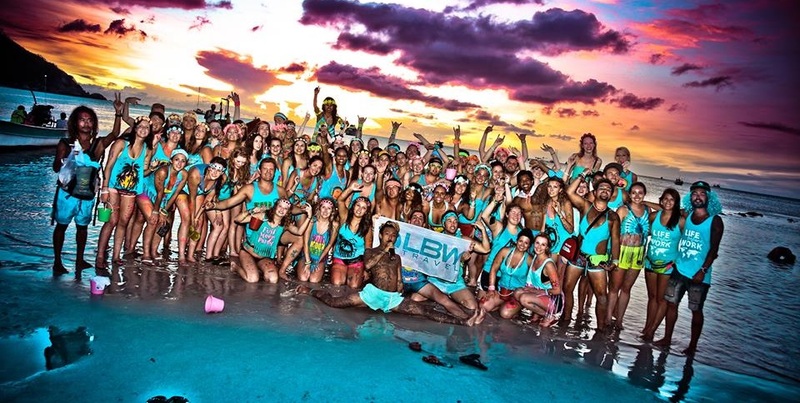 As a Travel Ambassador for LBW I am proud to be a part of this amazing team, and to give you a taste of what we are about, where we go, and how I can save you some $$! Welcome back to my NZ roadtrip adventures! Check out Part 1 of my trek through New Zealand if you missed out on the action. 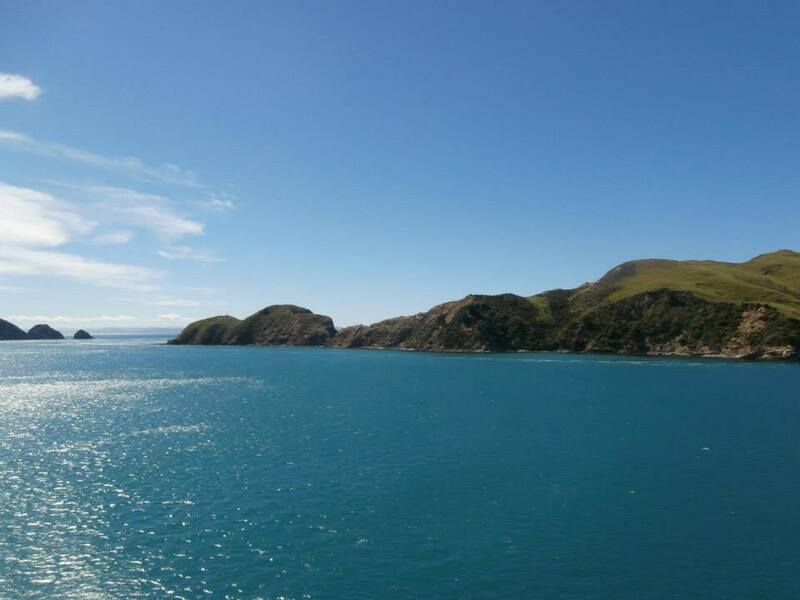 Although the North Island had some amazing natural wonders, the South is by far my favourite! Most of us don't have the funds or the time to jetset off around the world 24/7. If you're like me and work a 9-5 job with 4 weeks annual leave a year, it can be hard to satisfy your need to travel within such restricting circumstances. So what do we do now? This is where I like to become a tourist in my own town. We often miss the wonderful places around us just because we live there on a daily basis. Google your city and I guarantee you'll find a few unexpected places to visit and explore. 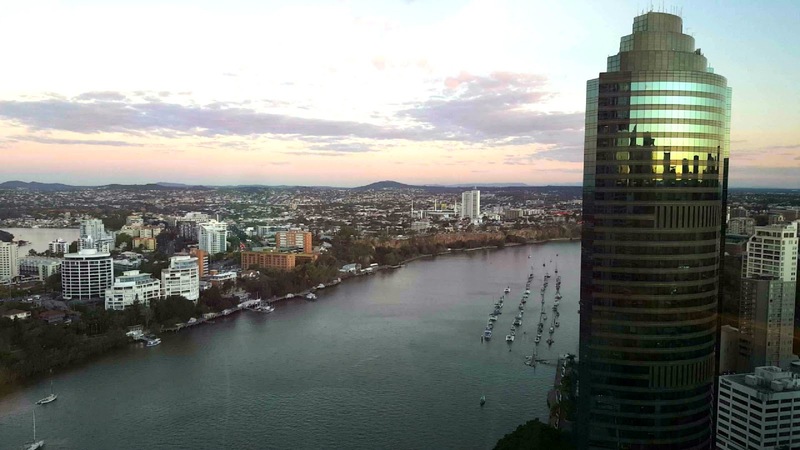 As an example, I live in Brisbane (Queensland, Australia). 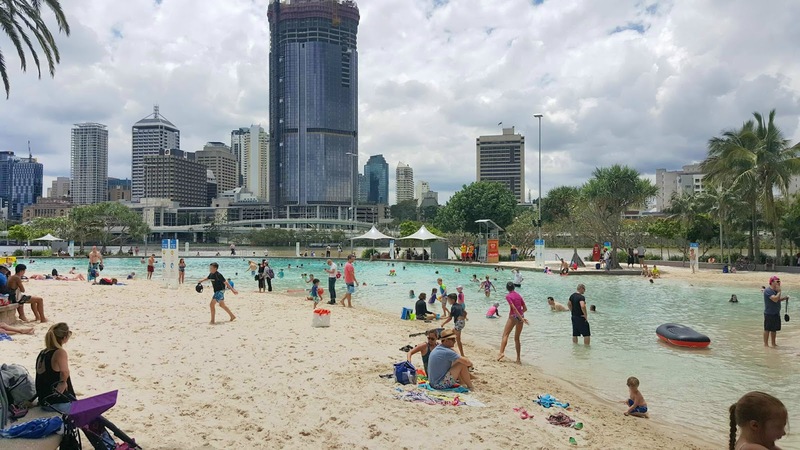 Less than an hour both north and south are amazing beaches and incredible hinterland forests, and inland around some lovely regional and rural towns with lots of outback history. My weekends usually involve a hike through the nearby hills and forests or a roadtrip down to the beach for some R&R. Being a travel blogger gives me the opportunity to share my stories and experiences with the world. It is always nice to know that people enjoy reading my posts and take something from them. 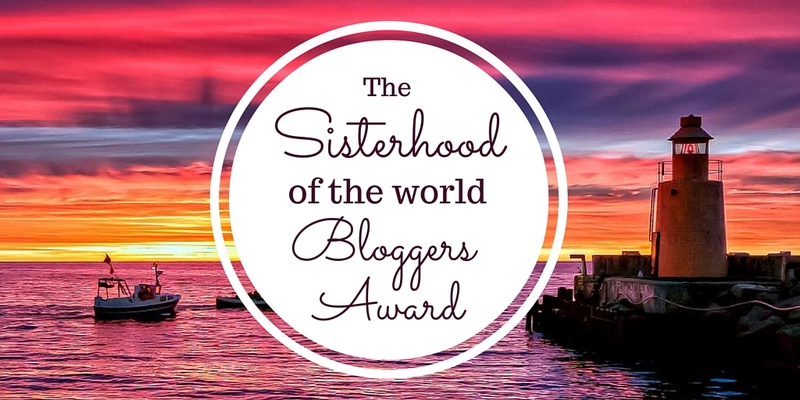 I am so proud to have been nominated for the Sisterhood of the World Blogger Award! Thank you very much to Mel from Footsteps on the Globe for this nomination! 1. How would you describe your blog in one sentence? A Girl Who Wanders is a blog designed to inspire people to travel and take on this amazing world of ours!! 2. Why did you start blogging? I love to write and I love to travel, so creating a travel blog seemed like a logical thing to do! 3. What inspires you to create a post? 4. What is your writing style? As a general rule I'm probably quite a "journal style" writer. In one way I try to write as if I am telling a friend about a place I've visited, as well as documenting my own memories, thoughts, feelings and experiences. Often my style will depend on the type of post. A prime example are my posts on ethical travel and how to survive a long-haul flight. Two completely opposite topics, one requiring emotion and perhaps a somewhat harsh trust, the other based on experiences, feelings and a splash of humour. 5. What is your writing process? I like to just write whatever comes to mind. Once I get an idea the words tend to just flow, then I go back and correct all the mistakes! I don't like to plan or stage my writing because I want it to come from the heart and be truly personal. 6. What is the easiest and most difficult part of blogging? 7. What do you wish you knew about blogging when you started? Blogging is the easy part, gaining a following and getting people to read is a lot more difficult! You have to be willing to put a lot of time into marketing your blog and your posts, sharing updates on social media and generally giving people a reason to follow you. Worth it, but something I hadn't factored in when I first started up! 8. How has blogging changed you? Hopefully this doesn't sound corny, but blogging has really given me the change to look at myself from another perspective, and learn more about my values, goals and ambitions. The biggest change for me is that I no longer feel the need to gain approval by posting pictures on social media. I now take pictures for myself and my own enjoyment, and only share what I truly want to, not just those things which make my life sound amazing. 9. What are your blogging goals for 2016? I want to continue writing inspiring posts, visiting amazing places around the world and sharing my knowledge and experiences with everyone! 10. What would be your number one tip for new bloggers? Be yourself. Don't try to blog like someone else just because they're highly recognised. Everyone travels differently, everyone writes differently and this makes for a world where we all seek different things! Know why you want to blog and stay true to yourself, and always feel comfortable asking questions of other bloggers. What is it that inspired you to start blogging? How do you leave a positive impact on the world? If you could only visit one more place in the world, where would it be? How do you pick the topics you write about? What is it that makes your blog different to others? What have you found the most difficult aspects of blogging? What is the most important part of blogging to you? What advice would you give to newbie travel bloggers? What are your blogging goals for 2016!? I think it depends on the type of content I’m writing. I think I write in a mostly informative way when I am writing in a list format and journal style when I am recalling a travel experience (how I felt, what I was thinking etc.). Either way I try to write as if I were talking one on one with a friend as that is the style I like to read on other travel blogs that I love. I think the way a blogger writes is personal to them and an important part of what makes them and their blog unique. 5) What is your writing process like? It’s different depending on the type of post I’m doing. On a story-telling post I’ll pick and edit the pictures first and then write the content around the pictures. If it is an advice or list format type of post, I’ll write the bullet points and content first and add the pictures later. I usually have the post title from the start but sometimes I will change this depending on the keywords I want to be ranked on for the post. I then pick my favourite image from the post (or the one that best shows the type of post it is) and set it as a featured image. I then proof-read and publish. 6) What is the easiest and most difficult part of blogging? For me the easiest part about blogging is coming up with ideas and the most difficult part is finding time to blog around a full-time job and social life! 7) What do you wish you knew about blogging when you started? There isn’t much I wish I’d known as I still would have started the blog because I love it so much. I think it would have been useful to of been prepared for the amount of time it takes to schedule social media and if I’d known that I could have started with a more consistent social media schedule from the beginning. 8) How has blogging changed you? 9) What is your goal for your blog in 2016? I want to carry on inspiring and helping 9-5ers like me to follow their travel dreams regardless of how much annual leave they have or what their budget is. 10) Any tips for new bloggers? My number one tip for new bloggers would be to not compare yourself to anyone else. It’s so easy to get caught in the trap of “aw my blog isn’t as good as theirs or they have way more followers than I do” but it’s a sure fire way of making yourself miserable and losing sight of why you started your blog in the first place. 1) How would you describe your blog in one sentence? 2) Why did you start blogging? 3) What inspires you to create a post? 5) What is your writing process? 9) What are your blogging goals for 2016? 10) What would be your number one tip for new bloggers? 1) What is your one sentence about your blog? Footsteps on the Globe is a travel blog inspiring 9-5 wanderlusters to seek their next adventure. 2) Do you blog while on the road? Due to limited annual leave with my job, I usually only go away for a week or two at a time so I don’t need to blog whilst I’m on the road I just write everything up when I get home. 3) How do you come up with your inspiration for a post? It’s usually in the moment when I’m in the middle of the experience or trip that I think: “this is so cool, I have to write about this!” Other times I try to think about what inspires me to travel and what sort of advice and tips I could give to help someone else. Being an Aussie I'm used to all the random phrases and made up slang that we throw around on a daily basis. My international friends however, not so much! It's not until I sat down and thought about it that I realised just how odd some of what we say must sound! There are so many weird and wonderful ways that us Aussie's pronounce words, shorten them and just talk in general that it'd take hours to go through it all. 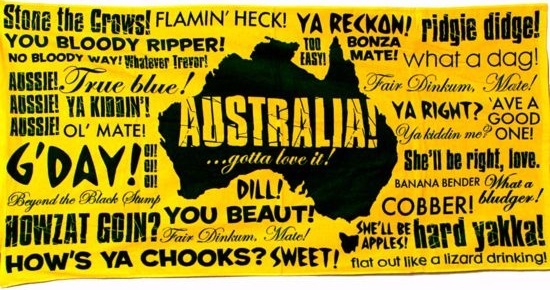 So for all the budding travellers who want to visit the Land Down Under, here's a quick guide to our local slang! When I'm not exploring the world I like to keep myself reminded of just how incredible it is to travel. Whether you have a mantra that you live your daily life by, or motivation sticky notes on your mirror, it's always great to have some inspiration to get out there and live life! Probably one of the most well known quotes, but it is so true! Whether you're on a tight budget or go all out, travelling is going to cost money. But what it gives you in return is experiences and memories that make your life richer. Of the people I've met on my adventures, I would say the backpackers are the ones who are having the best times! Staying in hostels is cheap, but it gives you the freedom to spend more on experiences and allows you to meet likeminded people and often lifelong friends. Money doesn't dictate whether your holiday is exciting, it's the whether you can embrace every experience, big or small, and whether you can make the most of what you have! Another well known quote but let's be honest, it's a winner. Travellers often wander off the beaten track or head somewhere completely unknown. I myself have actually been lost before, but instead of feeling lost I simply opened myself up to the experience and ended up having the best time wandering around random streets of Rome! This is one of my favourite quotes as when I first started travelling I was so nervous and, to be honest, I didn't want to let go and experience everything. All I wanted to do was feel safe and stick to the rules. Once you let go of those fears and begin to see the world for what it really is you can truly embrace the cultures, experiences and self-learning that comes from travelling. Take a little risk and enjoy an amazing reward! With a similar meaning to the above quote, this is another of my favourites. To me this quote says that staying in our comfort zones is safe, but stepping out of them is what we were meant to do. We were meant to take on the unknown and head out on a journey, and not to stay in the confines of everyday life. From the moment you step off your first plane into uncharted territory you find yourself bitten by the travel bug. That longing to seek adventure and wondering at the world never ceases, but do you really want it to? I have been infected and I don't want to be cured! This quote is very meaningful to me, as I have learnt so much about myself as a person from travelling. It might sound silly to some, but for me travelling has taught me about independence, confidence and self-love. It has shown me how strong a person I am and how proud I should be of everything I've done with my life so far. That deep-seated love of new places inspires me to get out there and see them, and only grows stronger the more I travel. This quote rings true with who I am, always wanting to experience more and offer more of what I have to the world. This quote inspires me because, as a traveller, you learn to absorb and embrace all aspects of your trip, the good and the bad. Tourists often miss out on the most amazing parts of the places they visit, simply because they don't open themselves up to the experiences. Being a traveller is so important to me as I never want to let the something incredible pass me by. I can't help but smile when I read this, as I am an insanely bad overpacker and always underestimate my budget! If I could bring the kitchen sink I would (oops). My indecisiveness on what to take with me has improved over the years, but this quote is still so true - half of what you pack you'll never need but you'll never take enough money! Australia and New Zealand have what you could call sibling rivalry of each other. From who created our fluffy meringue dessert the "Pavlova" to whether Russell Crow is an Aussie or a Kiwi, we always find things to argue about. 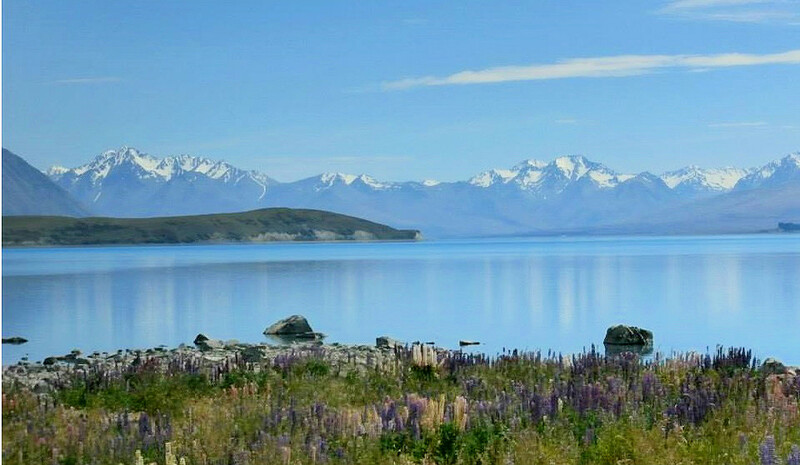 But even as an Aussie myself, one thing that is completely undeniable is that New Zealand is an incredibly stunning country! I was lucky enough to spend 3 weeks on a family roadtrip from the North Island down to the South (and no, we didn't kill each other - only nearly). 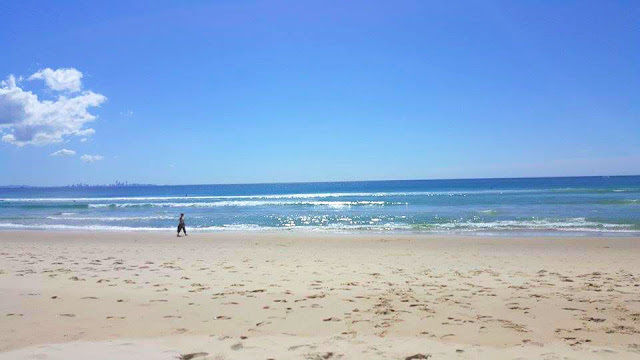 I count myself quite lucky to call Australia home! This country is absolutely incredible, and in itself is an amazing place to explore. If you've never visited, make sure it's on your to do list! 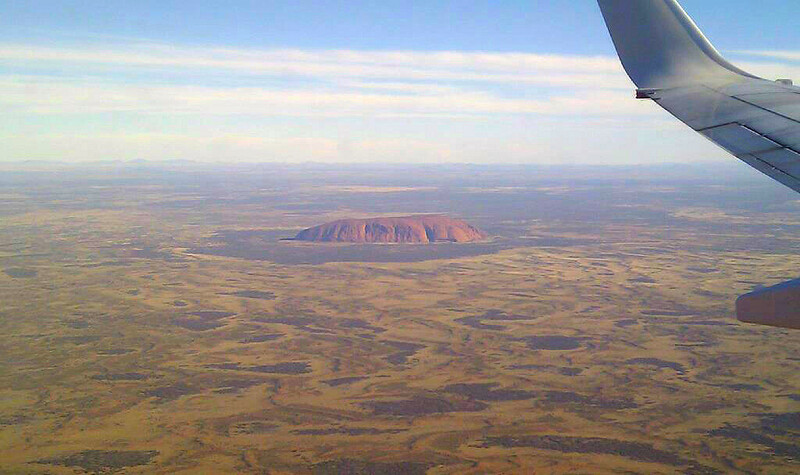 One of my most recent domestic adventures was to visit the Red Centre. If you're not sure where I'm talking about, just visualise one of the most remote areas of Australia, with endless red/orange desert and only a handful of people. So why on Earth would you want to visit this place!? The answer is simple - because it is truly stunning! 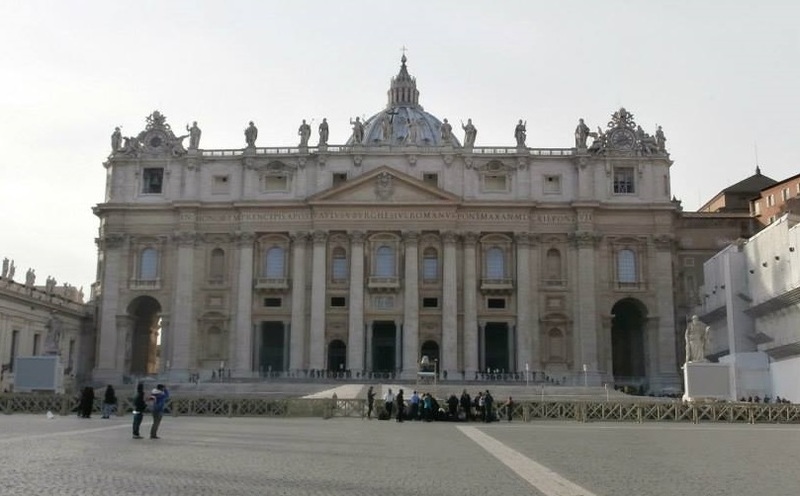 Arriving in Rome is like stepping into a history book. An incredible city that hasn't lost it's character from modernisation, but instead captivates your senses. Time seems to stand still in Rome, giving it the name the Eternal City. You can imagine the era of the Roman Empire, with its chariot races and the gladiator tournaments. Even a short amount of time will allow you to experience a small slice of what this city would have been like in ancient times. I fell in love with Rome from the moment I arrived. As a lover of history, I was overwhelmed by the archaeological treasures and historic monuments that still stand thousands of years after their creation. You could spend weeks exploring this city and still not see it all. From my own adventures, these are just a few of the amazing places that are a must on your travel itinerary! It's official, I am now 24 years young! 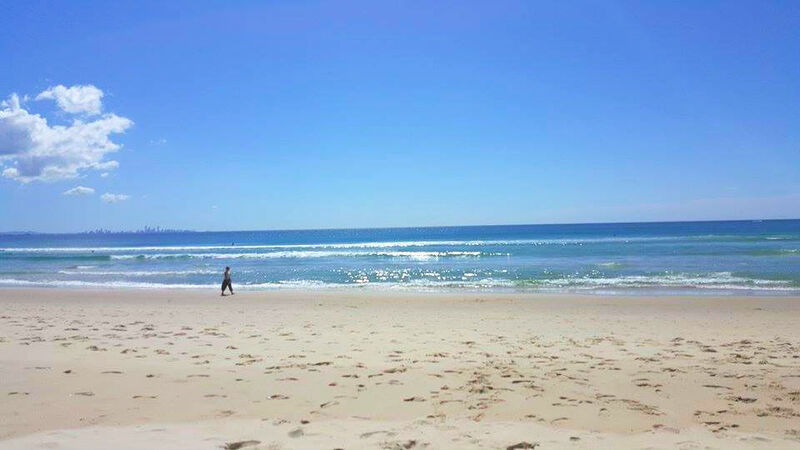 And as any twenty-something should, my birthday weekend was spent lounging about on a stunning Aussie beach, sipping cocktails by the pool and cuddling koalas (... wait what?!). Before I even knew where Vanuatu was on the map, I had heard my of my travel companions say that Vanuatu was the "happiest place on Earth". It wasn't until I hopped on a plane and landed in Port Vila that I finally understood what everyone meant! Veni, Vidi, Amavi - Latin for I came, I saw, I loved! One day, when I brave the needle and ink of a tatoo, these will be the words! This to me is exactly what travelling is; we visit a place, we see and experience it, and more than likely we never want to leave! From the cliffs to the beach, to the snow and the mountains, every location offers something unique that we can treasure forever! When travellers take on a new country, or a new city, what most of us are there for is to experience something new, whether it be just a new place or a change of scenery, or even to taste a new culture. Although home for me is where the heart is, the world has so much to offer and we have so little time to see it. So when we do get on that plane or in our cars and visit somewhere new we have to make the most of it. 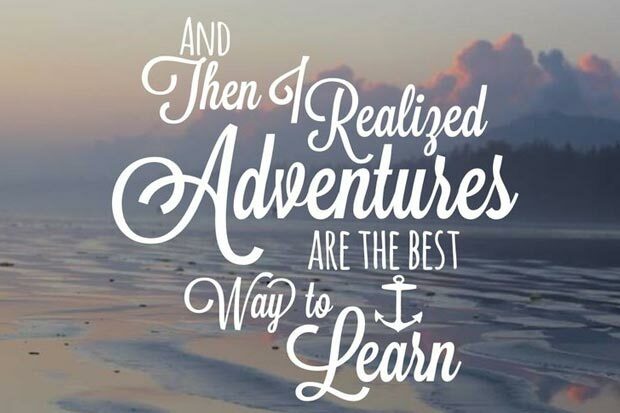 I travel to gain insight into the world around me, grow as a person as I learn new things about the world and myself, and to really say that I have lived! I can honestly say that I have fallen in love with so many places that I have visited, but for completely different reasons! With Paris I loved the night life and the hustle and bustle of such a beautiful city. Then there's Rome, with more history than you could cram into a textbook! Or Vanuatu, where the locals really embrace you and take you on a culture experience that you couldn't buy with any amount of money. This is what makes travelling special to me! When it comes to living, we all know the importance of money. While we want the spare cash to treat ourselves and live comfortably, we also want a life outside of work, and chase the "work-life balance". It can seem an endless journey though, with high paying jobs requiring long-hours and dedicated career focused employees, and those with a better lifestyle often only paying enough to cover the bills. So the question is, do you work to live or live to work? So many of us will spend more time with our colleagues than family and friends, and save away our pennies with no time to use them. I have a different mindset. First, I love my job. I've worked hard to get where I am; I know what I want, how to get there, and how to continue "living" whilst working. Enjoying what you do has to be THE most important aspect of a career. It doesn't matter what you do, as long as you love it! Often people feel they need to chase a high flying career where the money will rain down upon them, but only then realise that they aren't happy. No matter what career path you choose, what type of job you take on, your values should guide you to employment which matches your values and makes you look forward to the working week. Second, set limits for yourself; know what you are capable of doing mentally, emotionally and physically and don't exceed that. We can easily fall into the trap of trying to impress our employers, by staying back late, working weekends, or cancelling plans. Although it is important for your employer to know you are dedicated, this shouldn't come at the expense of your social life, your family and friends, and your values. By focusing on the hours we work instead of the results we produce, we are really being inefficient and not making the best use of our time. If you measure success by the time spent in the office, you are really only cheating yourself and impacting on the rest of your life. By setting limits, and making compromises, we can be just as dedicated without negatively impacting our lives outside of work. Hi I'm Erica, just a twenty-something Aussie traveller exploring the world! I have an appreciation for anything different to the norm, experiencing culture and making the most of every moment. I also love keeping fit and healthy, balancing this with my desire to travel the world! My motto for life is "live, laugh, love, travel and be healthy"! agirlwhowanders@hotmail.com and let me know your topic ideas!